Tones said to rival the notes produced by the modern metal saxophone are blown by members of a Manila orchestra on their bamboo instruments. 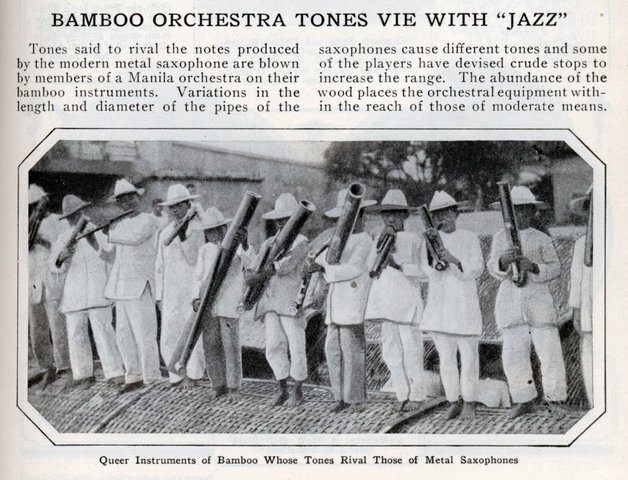 Variations in the length and diameter of the pipes of the saxophones cause different tones and some of the players have devised crude stops to increase the range. The abundance of the wood places the orchestral equipment within the reach of those of moderate means.